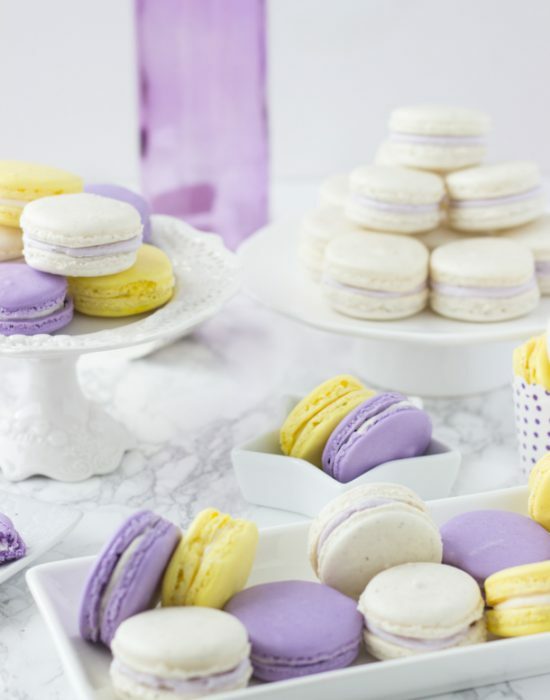 Macarons, not to be confused with macaroons, are a delicate French cookie, made from egg whites, sugar, and almond flour. 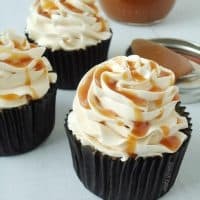 They are filled with delicious buttercream frosting. I can barely ice a cake smooth or pipe a buttercream rose, yet I am attempting to make French macarons. I’ve never had a macaron and I’ve never made macarons. 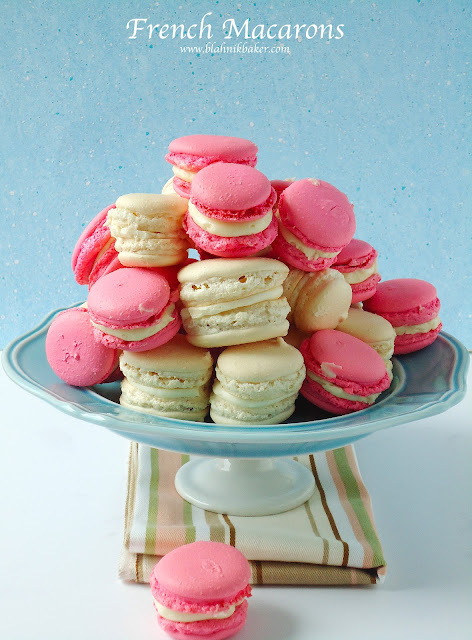 But they made it to my baking ‘bucket list’ a few months ago, after I came across these gorgeous tiffany blue macarons. 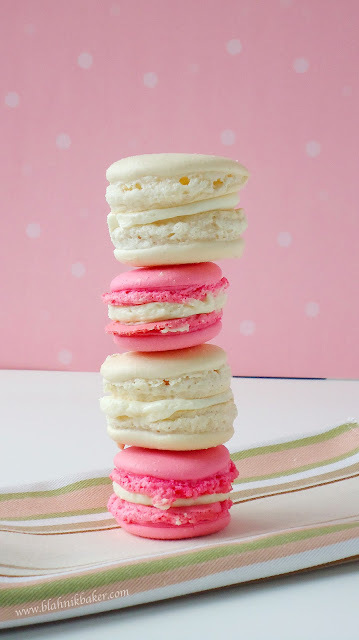 So when Lindsay from Love and Olive Oil announced her April Kitchen Challenge was to make macarons, it seemed like a great idea to give them a try now. Why wait till later?? Little did I know! I jumped into the literature of macarons not knowing anything about what it takes to make them. A common theme that was immediately clear was that making macarons is an extremely difficult task. 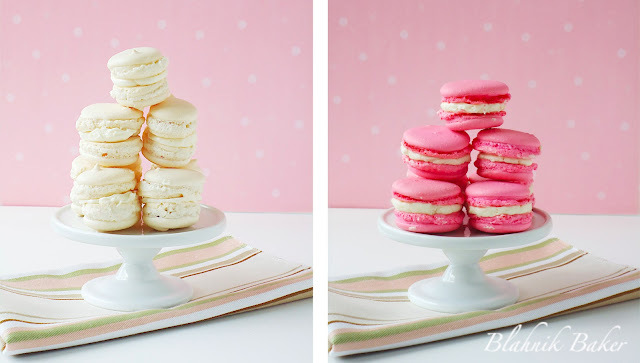 Second, there are lots of different schools of thoughts about how to make a successful batch of macarons. A very ‘superstitious’ ritual, if I must say. 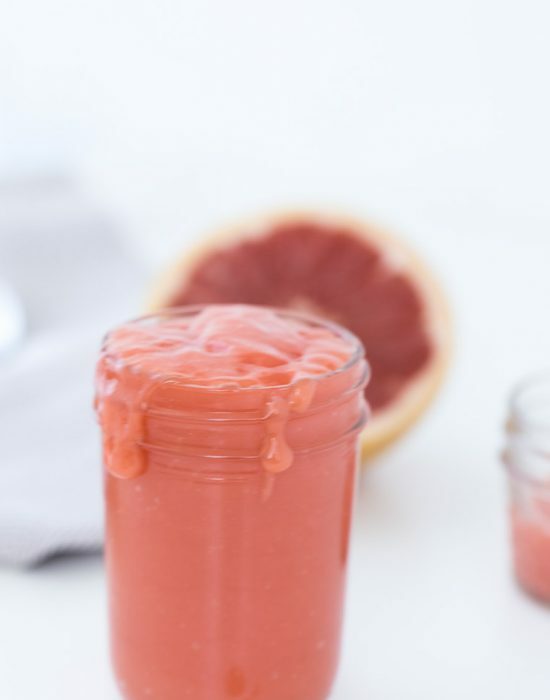 I started off with Brave Tart, as Lindsay suggested, and she has several great posts on all you need to know about macarons. 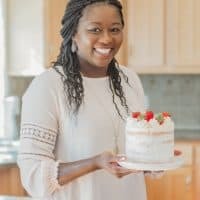 I learned almost everything from handling meringue to macaronage on her blog. Most macaron recipes call for a food scale and since I wasn’t about to buy one just yet, I had to look for a recipe that did not require a scale. I adapted a recipe from Sprinkle Bakes for the ingredients, but following the instructions for Bravetart’s macarons. Thanks to her mythbuster article, I was able to go into this project prepared. 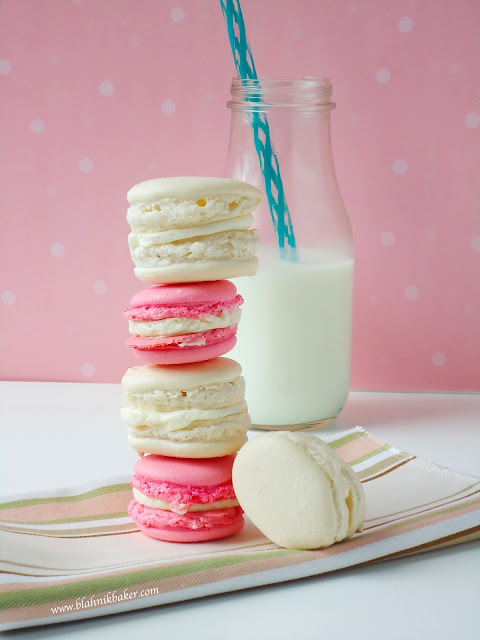 Making macarons starts with whipping up egg whites and sugar to make a stable meringue. Then sifting together almond flour and powdered sugar for the dry ingredients. The most crucial stage is folding the dry ingredients into the meringue, the process of macaronage, which deflates the meringue. 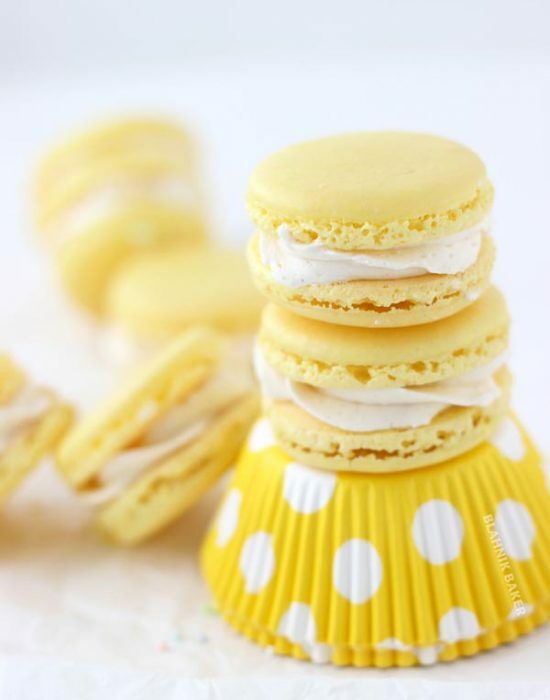 With proper macaronage you should have a ribbon-like mixture that can hold up to piping and maintain its shape. 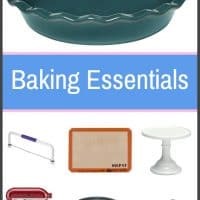 The batter is piped onto parchment paper in 1 1/2 inch circles, given a solid tap on a counter, then, depending on your oven temperature, baked for 10-15 minutes. Sounds simple enough right?? Yeah, it’s not. It took three batches. The first batch failed period. The second batch (pictured in cream) were ‘oval’ not circular, baking somewhat crooked. The third batch (pink) turned out circular and much better. However, they still baked crooked…the shells were falling off. After three batches, my French macarons were not perfect, but that is OK. I did not expect to get perfect cafe-quality macarons on my first try. With practice and good techniques, I’ll make close to perfect macarons one day. 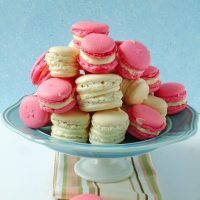 It was great fun to jump into this project and not knowing much about macarons or how to make them. Thanks to Lindsay for inspiring this bold step. Now I’m looking forward to the next challenge she has in store. 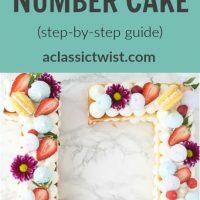 If you have not checked out her blog, do so NOW! It’s amazing. 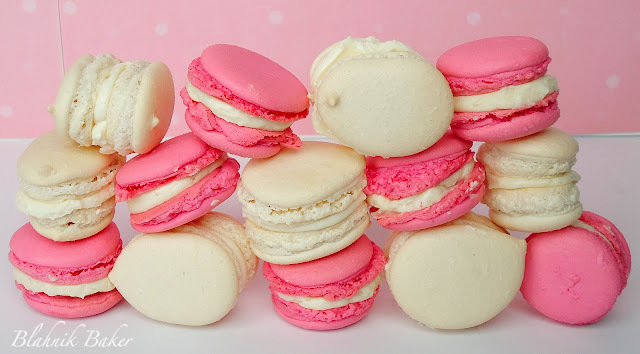 I have more macarons to experiment with, and they might just show up on a certain dessert table I’m planning for an upcoming shower. 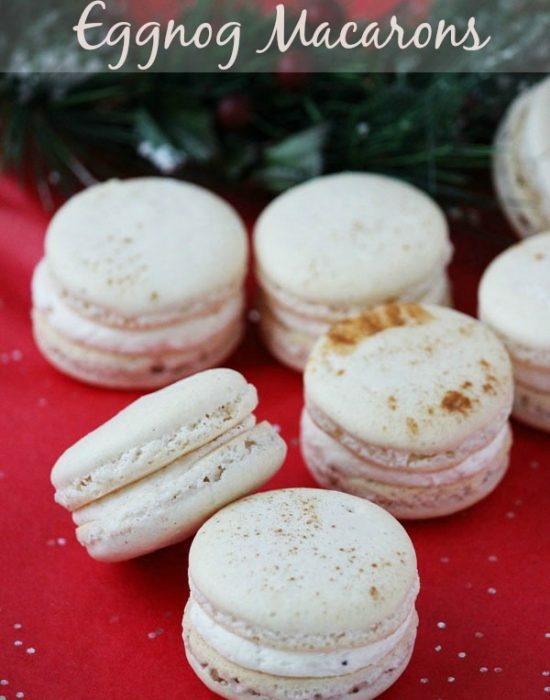 Macarons, are a delicate French cookie, made from egg whites, sugar, and almond flour. 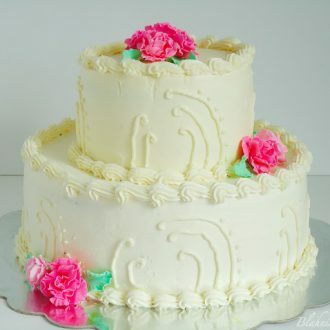 Typically filled with delicious buttercream frosting. 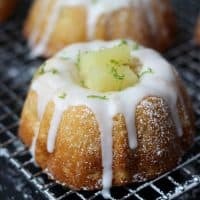 Recipe's here! Using a food processor, pulse almond flour and confections’ sugar. 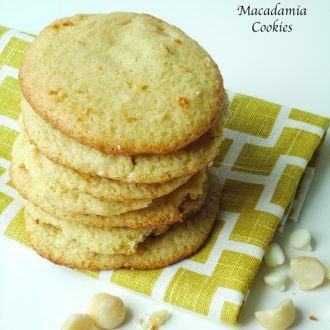 Sift several times until there is less than 2 tablespoon of almond buts left. Add those to the dry ingredients. In the bowl of an electric mixer with the whisk attachment, combine the egg whites, sugar, salt and cream of tartar. Whip for 3 minutes at medium (4 on a Kitchen aid). Increase speed to medium-high (7 on kitchen aid) and whip for another 3 minutes, then increase speed to high and whip for an additional 3 minutes. Add the vanilla extract and food coloring and whip for an additional 2 minutes until stiff peaks form. Remove the whisk. Add the dry ingredients to the meringue and fold with a rubber spatula. Be very careful and gently fold the dry ingredients to deflate the meringue. The batter will be ready when it falls off the spatula in a thick ribbon. Transfer batter into pastry bag and pipe the batter into the pre-traced circles on the baking sheet. Tap baking sheet hard on counter to release any air bubbles trapped in the batter. Let piped macarons sit for 30 minutes to ‘dry’. Bake for 10-15 minutes or until you can cleanly peel a macaron away from the parchment. If the shell of the macaron comes off when you pick it up, then its not done. Cool completely on the pans before peeling from the parchment. To fill: Pipe a little mound of buttercream into a shell and sandwich with the other naked half. 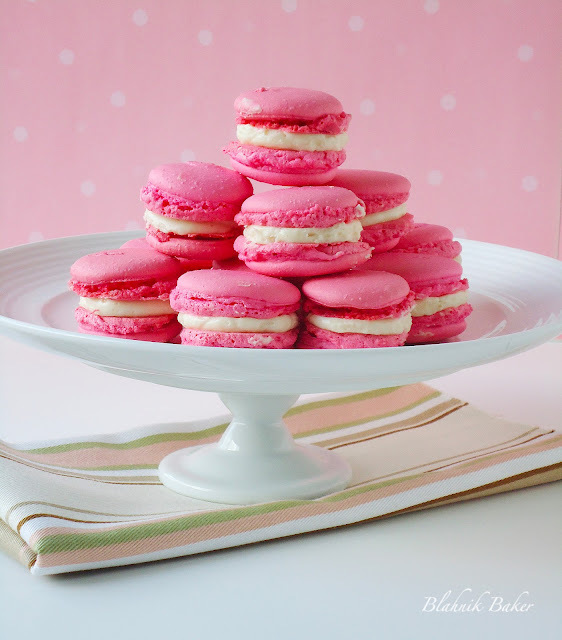 ZAINAB'S NOTES: • I suggest you read up on macarons before attempting to make them. 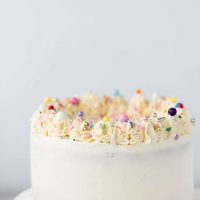 There are lots of flavors and colors to experiment with, but it is recommended you start with a simple vanilla recipe until you are familiar with the process. • I will definitely get a kitchen scale for my next try. I got lucky here but I can see how having a precise measurement of ingredients will help avoid mishaps. I have been meaning to make macrons from this challenge too! I know this isn’t your goal, but I SO see a bakery in your future. Hahhah!Thanks Iris. As they say, you never know what the future holds.